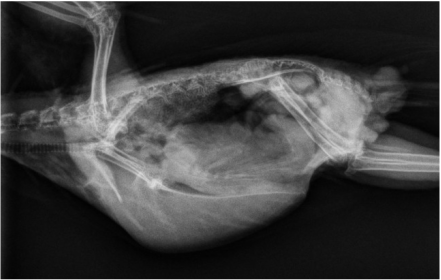 At the Animal & Bird Health Care Center we have two digital x-ray units. Both are high resolution machines that allow us to obtain quality diagnostic images with lower levels of radiation. Why two units - each serves a separate purpose. Our primary unit takes images up to 14 by 17 inches. 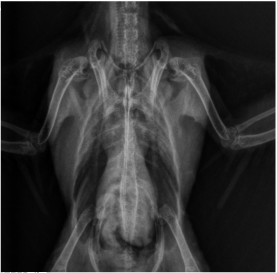 This allows us to take images similar to the type you would see when a radiograph is being taken of yourself. Our second unit is a dental x-ray machine.